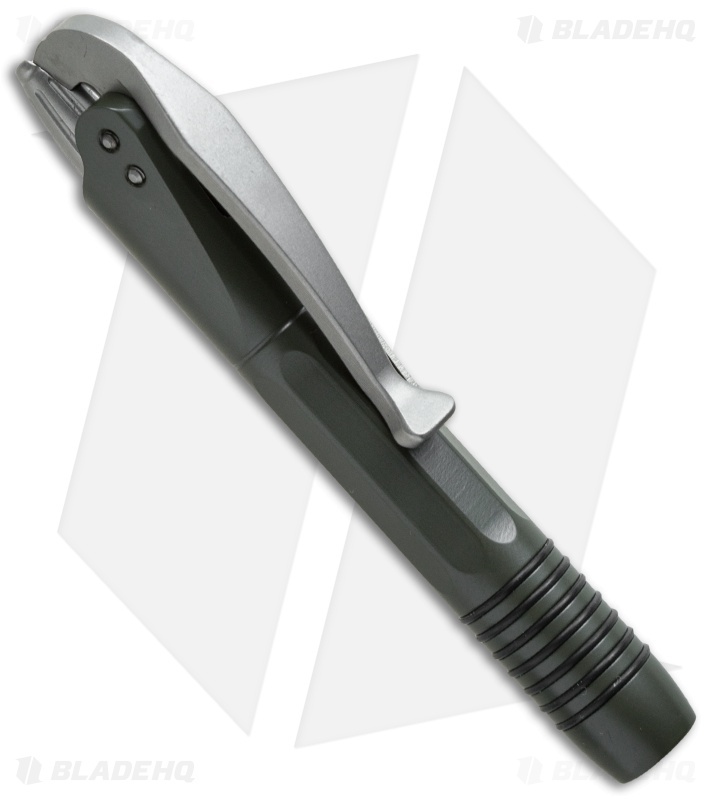 The Siphon II, like the original Siphon is a unique folding lever-action pen and a stylish writing instrument from Microtech. 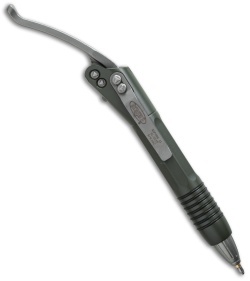 Pull the lever up and the pen tip is revealed. The Siphon II has a slightly longer body with o-ring grips and this model has OD green finished stainless steel construction. It measures 3.9" with lever down and includes a pocket clip with model name, date of production, and serial number.